LEGENDS OF THE DARK KNIGHT #38 COVER! Art by Wes Craig and colors by Lee Loughridge! 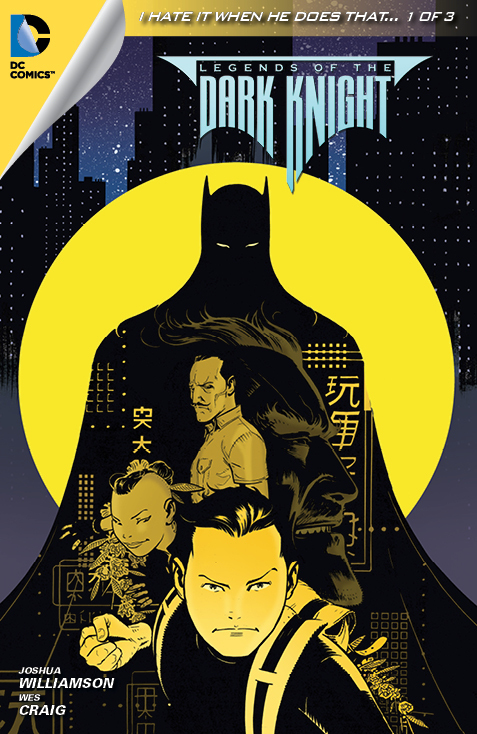 And yes, that is a young Bruce Wayne on the cover! "I Hate It When He Does That" part 1! When Batman visits the scene of a break-in, the GCPD expect him to blame Catwoman. But Bruce smells a different scent in the air...one that reminds him of being a young boy, touring the world with Alfred. Could his past be coming back to haunt him?